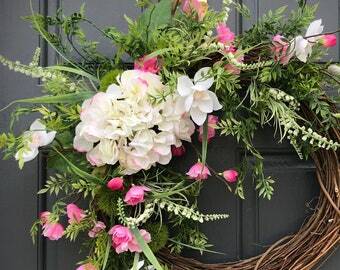 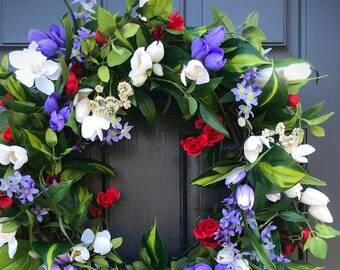 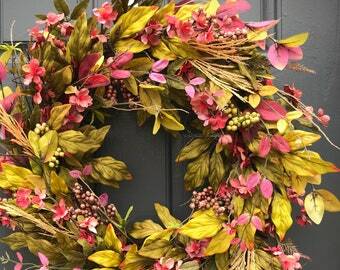 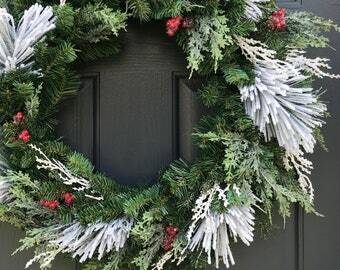 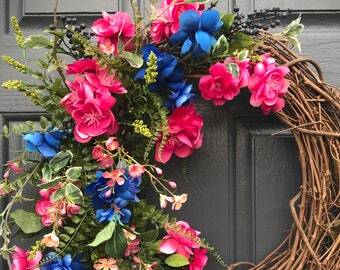 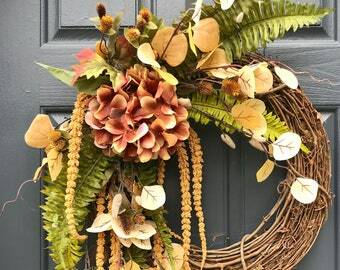 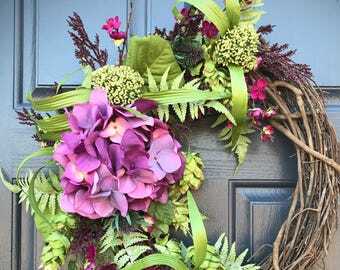 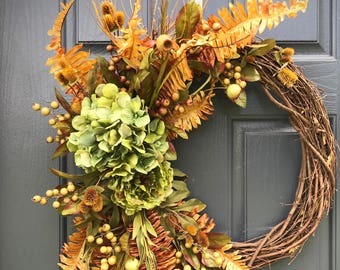 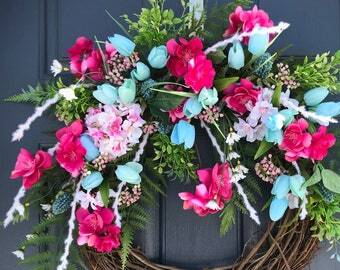 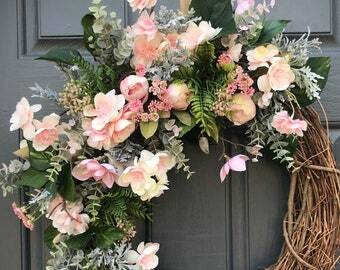 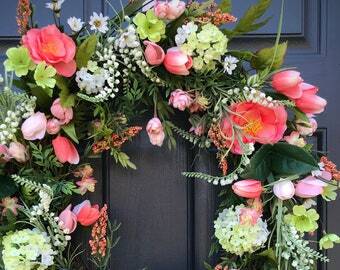 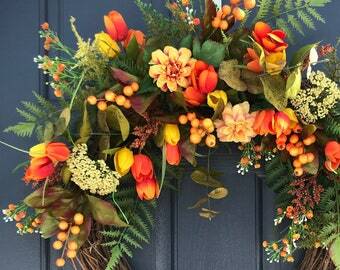 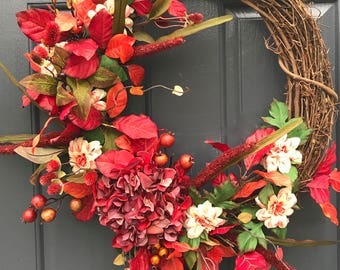 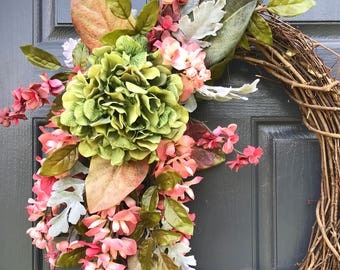 What a soft blend of colors in this Spring wreath. 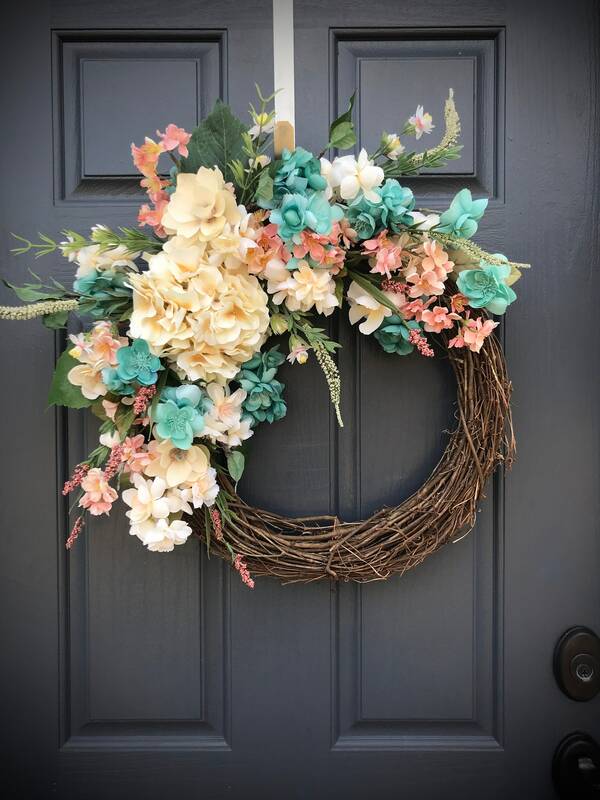 Creamy white hydrangea bunch surrounded by light turquoise and peach/pinkish flowers creating a welcoming design for any home. 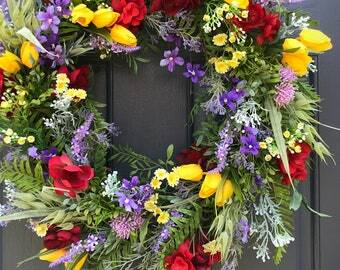 Built on an 18 inch base but measures a couple inches wider at the tips.